The Traffic Injury Research Foundation (TIRF) releases a new fact sheet summarizing findings about self-reported drinking and driving behaviour in Canada. 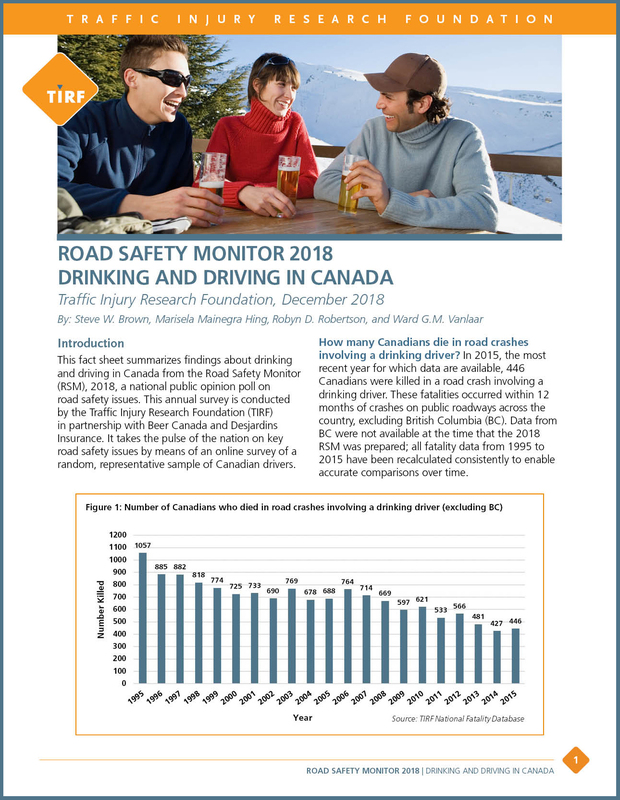 This fact sheet is based on the Road Safety Monitor (RSM) 2018 poll conducted by TIRF, in partnership with Beer Canada and Desjardins Insurance. Despite considerable gains in reducing drinking and driving in recent years, these results, which are strongly correlated with fatal alcohol-crash data, could be an early warning sign that progress may be slipping.